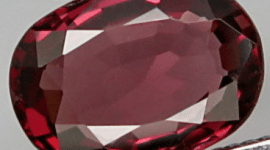 This natural iolite cordierite loose gemstone, is another new gemstone we put online on our online gems store, where you can buy natural colored gems at wholesale price, choosing from a huge inventory of almost 600 natural gemstones and precious stones. 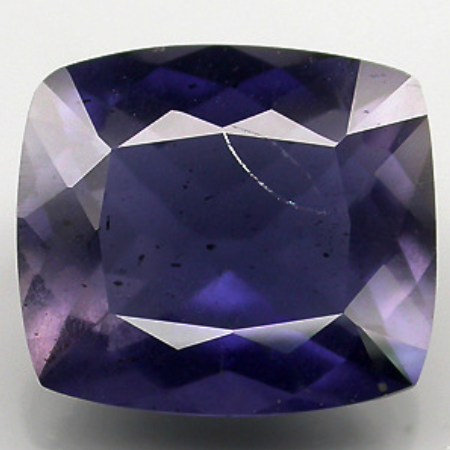 This iolite weight over three carats, comes with a well proportioned cushion antique faceted cut and display an interesting purplish blue color hue with medium tone, strong saturation and strong pleochroism. 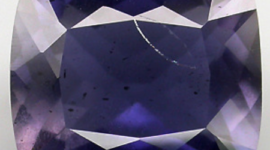 This rare iolite comes with big size and weight, nowadays is difficult to find some big iolite cordierite crystal with nice clarity. 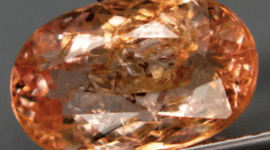 This stone present a transparent clarity with some minor inclusions into the crystal almost invisible to naked eye. 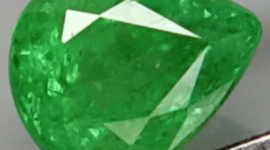 Images and photos doesn’t make justice to this incredible gemstone, now offered for sale at wholesale price on our online gems store where you can find a huge inventory of stones from our gems collection. 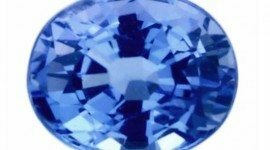 Iolite stones has an hardness of 7 on the Mohs hardness mineral scale, so it can be easily used to be set into an elegant jewel like a pendant, a necklace or a ring, or it can be simply stored into your gem case in your gems collection.